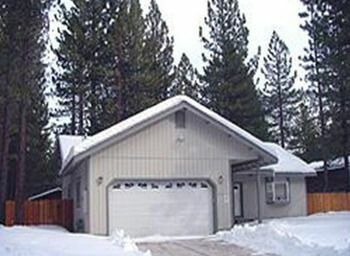 South Lake Tahoe Cabin w/ Hot Tub - Walk to Lake! 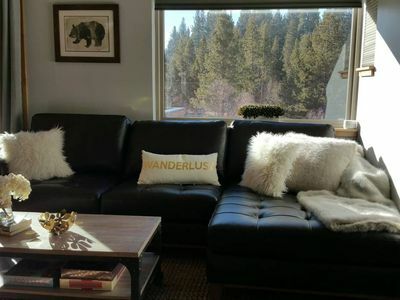 Welcome to 'Lazy Bear Landing!' 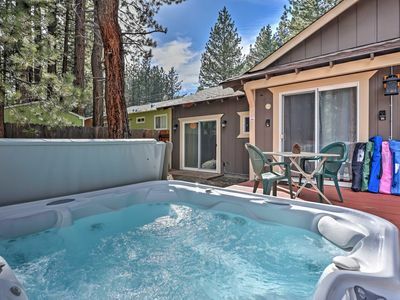 Spend your days on Lake Tahoe or in the surrounding forests, and your evenings in the private hot tub during your stay at this 2-bedroom, 1-bathroom vacation rental cabin in South Lake Tahoe. 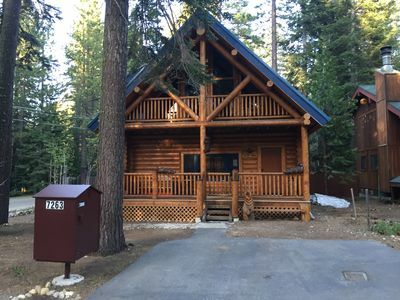 This cabin is perfect for 4 guests looking to stay in a recently remodeled home located in a quiet neighborhood, just minutes from all the action. 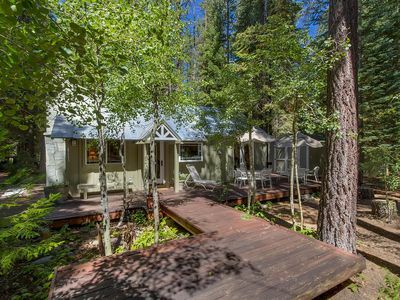 Nestled within walking distance to Lake Tahoe and minutes from ski resorts, this cabin promises a memorable stay! 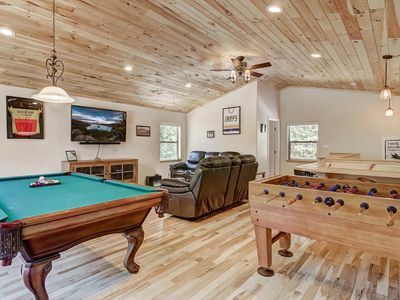 Step into the living room of this recently remodeled home and take a seat on the plush couch. 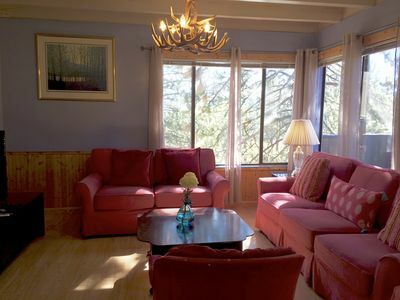 It’s the perfect place to relax after a long day while watching your favorite programs or DVDs on the flat-screen cable TV. 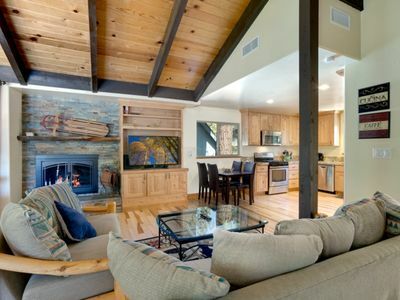 The fully equipped kitchen has everything you need to prepare your favorite meals in your home-away-from-home. 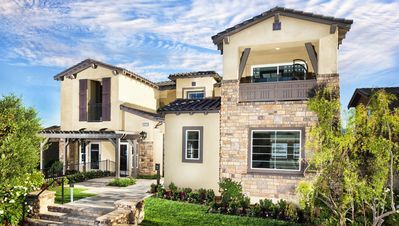 If you’d like to cook outside, fire up the gas grill and prepare your meals in the fresh Californian air! 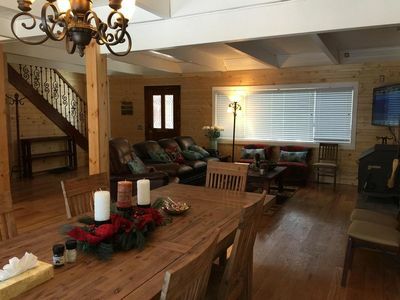 There’s a dining table inside, as well as a table on the back deck and another on the front porch, so you'll have plenty of options for wining and dining. 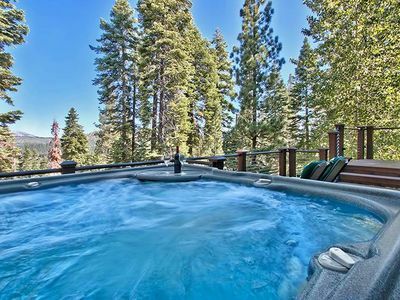 After dinner, spend hours each night in the backyard gathered around the fire pit or soaking in the private hot tub. When the night comes to a close, retreat to the master bedroom's king bed or the second bedroom's queen bed. Regardless of the room you stay in, you’re guaranteed to get a good night’s sleep. 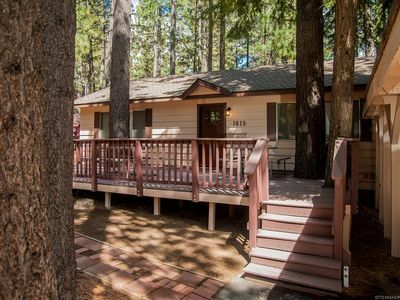 During your stay at this ideally located cabin, you'll be within walking distance to Lake Tahoe! 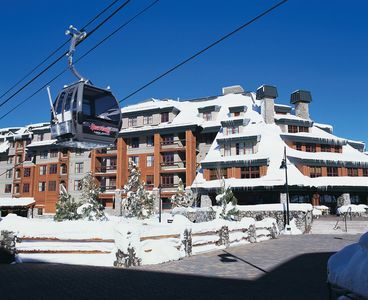 Popular water sports and activities on the lake include parasailing, paddle boarding, water skiing, swimming, and fishing. 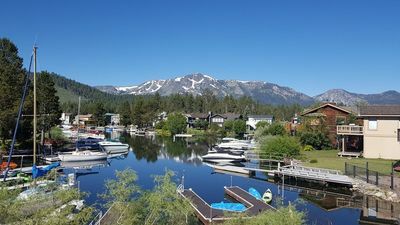 If you don’t have your own vessel, there are plenty of places to rent boats around the lake! 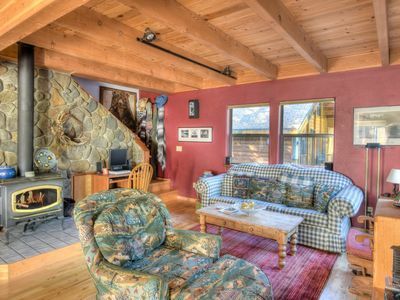 Go hiking, or borrow the mountain bikes to explore the woods. 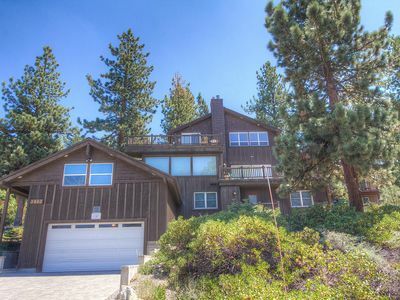 You could also stay in the comfort of your car and take a scenic drive. 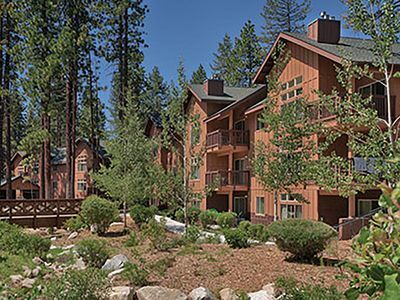 If you’re feeling lucky, head down to one of the nearby casinos which are about 3 miles away from the cabin. 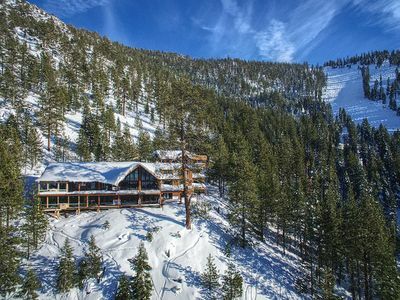 For winter activities, head to Heavenly Ski Resort 1 mile away, or find more fresh powder at the Sierra-at-Tahoe ski resort, just a mere 20 minutes away from the cabin. 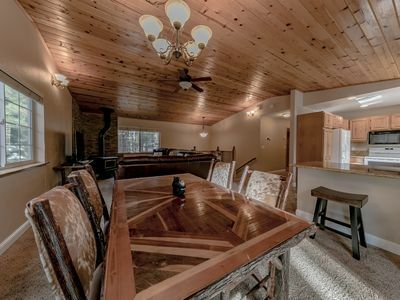 - Amenities include a patio, patio furniture, blender, fenced-in backyard, private hot tub, gas grill, fully equipped kitchen, flat-screen TV, DVD player, coffee, tea & cocoa provided, ceiling fans, free WiFi, laundry machines, parking and much more! 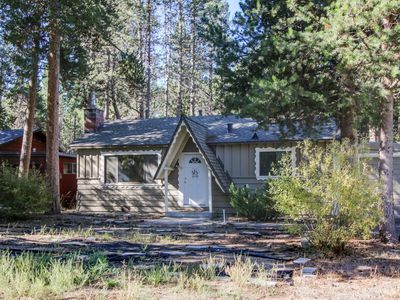 Cozy home in a quiet spot w/enclosed yard - great for family vacations!